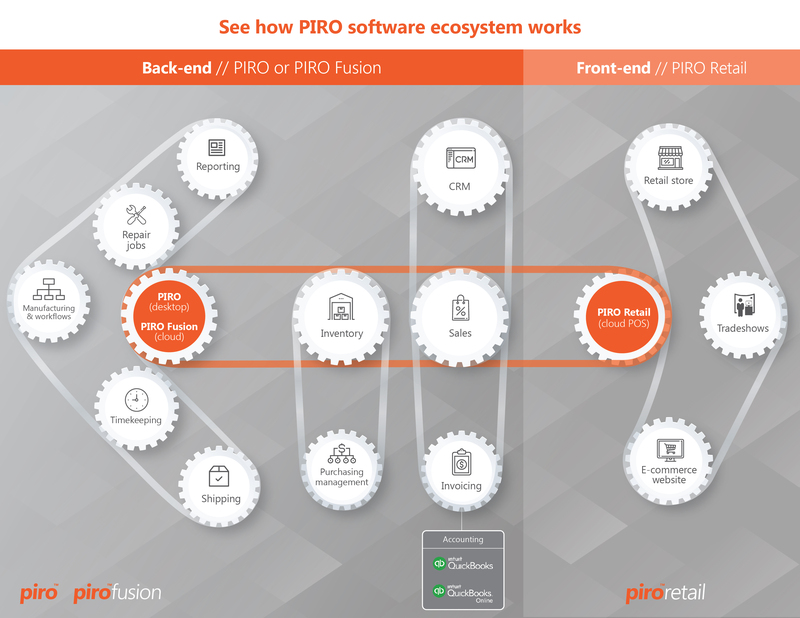 our PIRO Retail platform is ready to do just that! 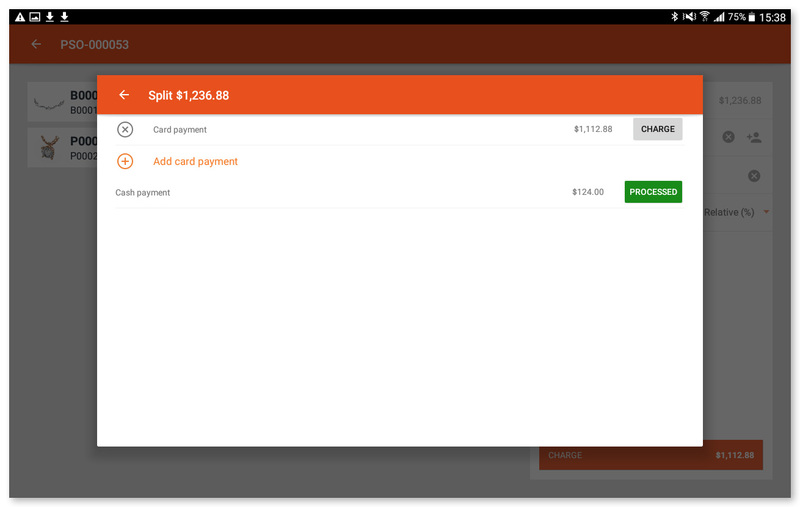 What is a "front-end" application? 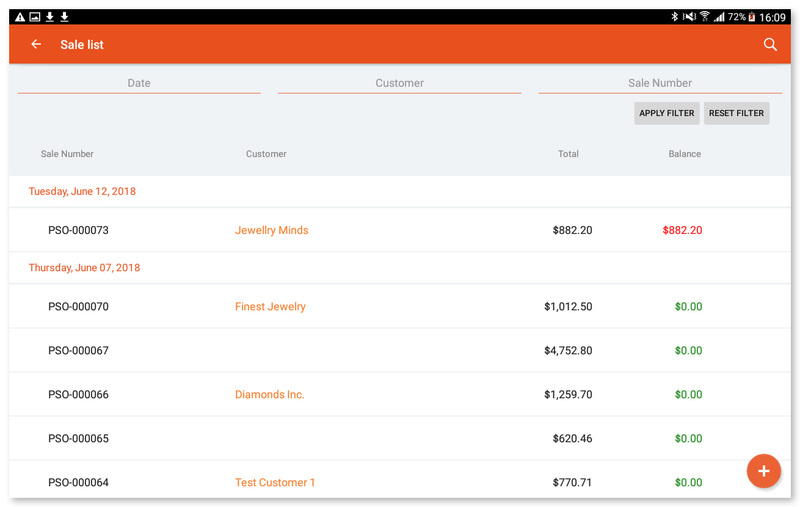 Typically, a front-end application is one which shop users and salespersons interact with directly. 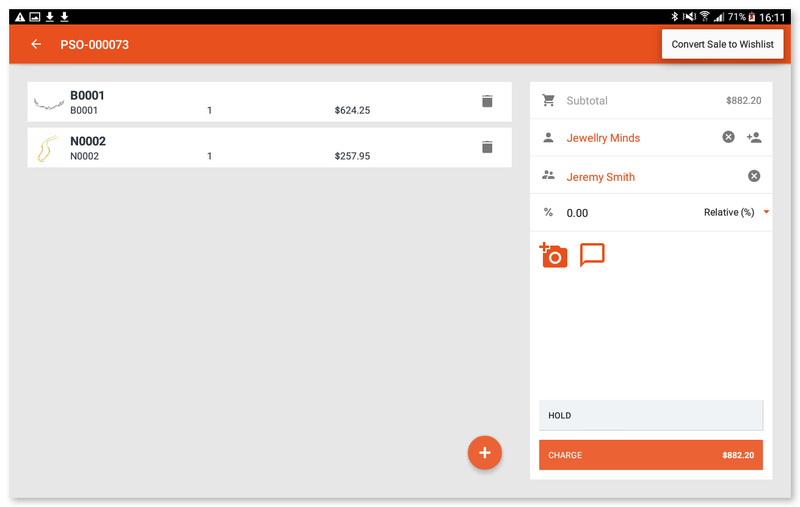 PIRO Retail's front-end is an Android tablet application, enabling users to add new jewelry sales and customers and to easily handle various sales related activities. 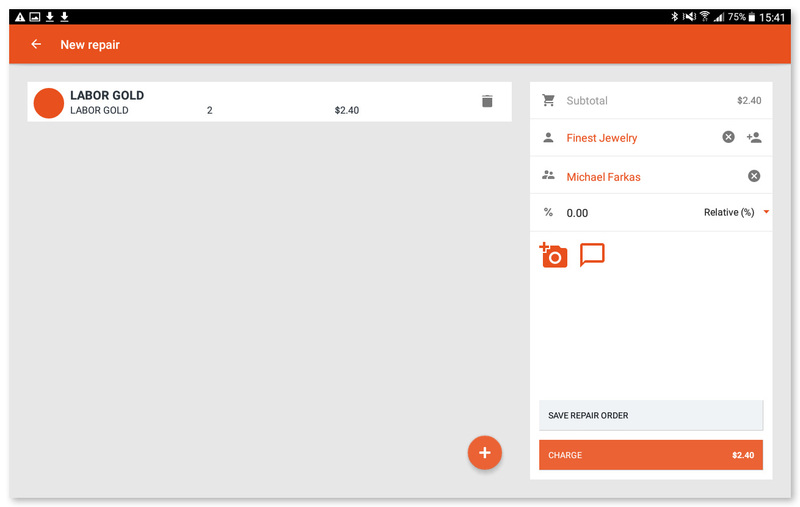 Unlike many traditional POS system, PIRO Retail is a portable system. 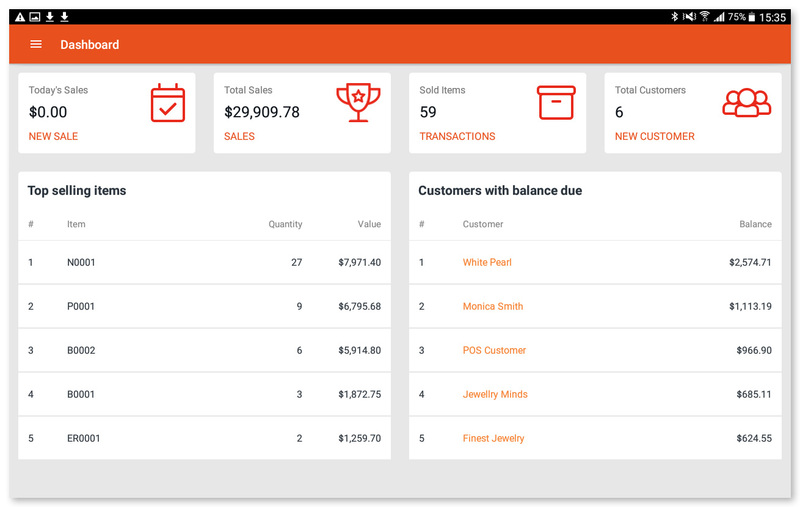 Regardless of where the sales take place, they are always synced with the back-office system. 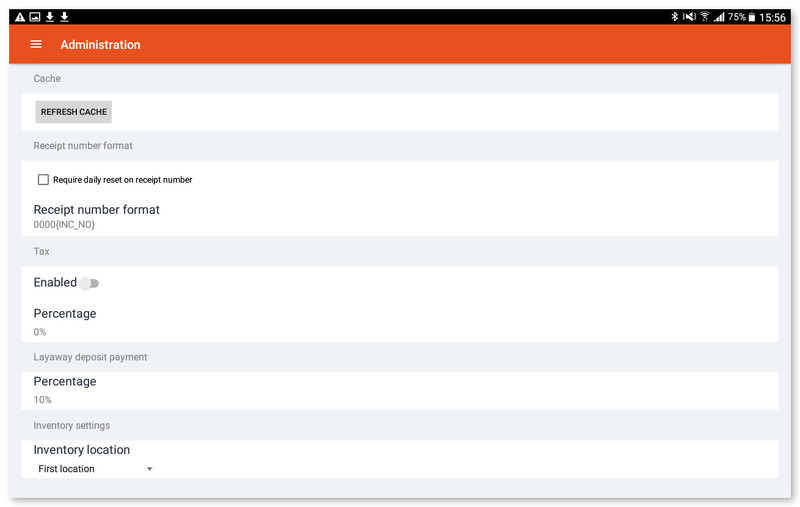 All you need is an internet connection. 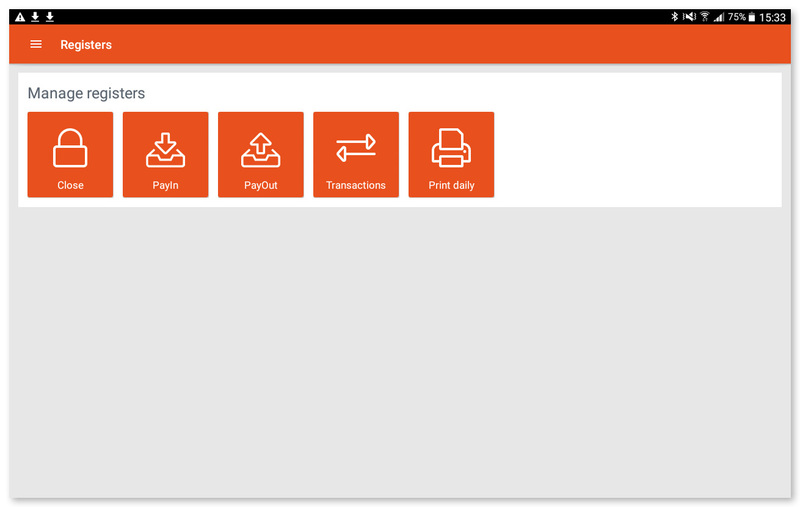 Print Daily - prints and end-of-day report for the day’s transactions, including items sold, sales, refunds, etc. 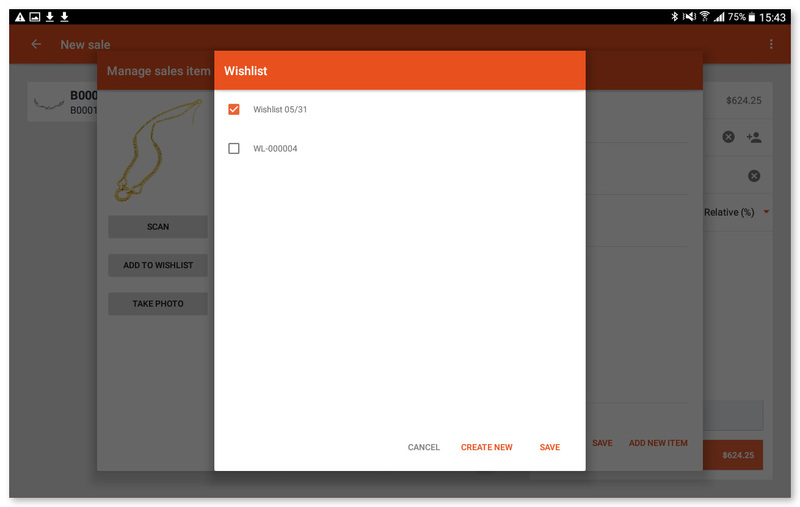 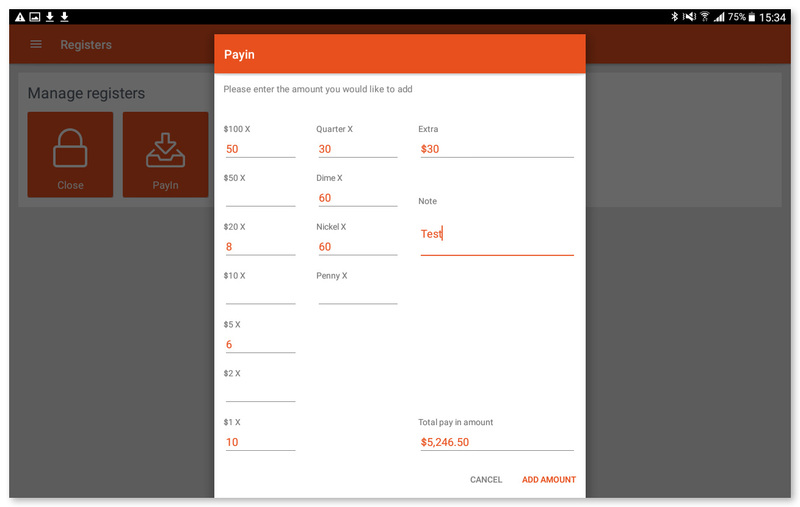 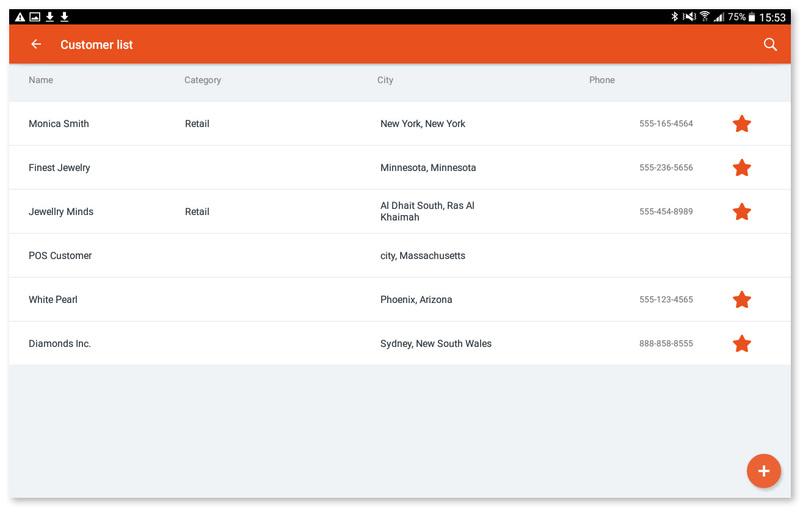 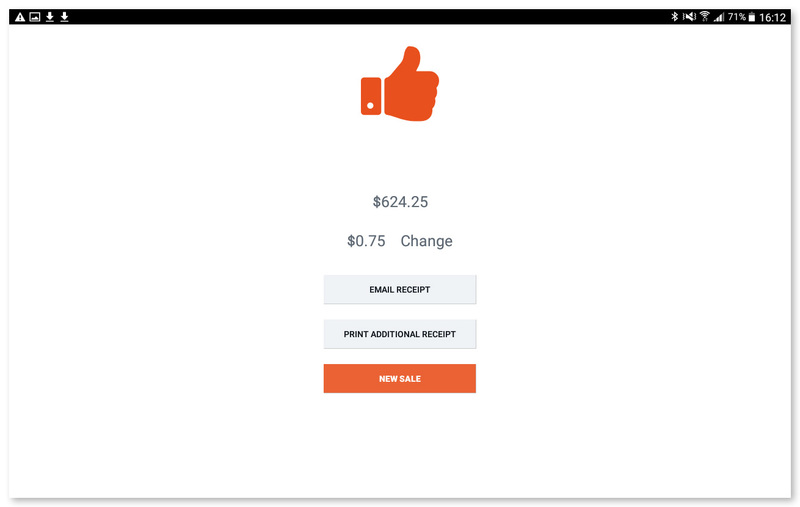 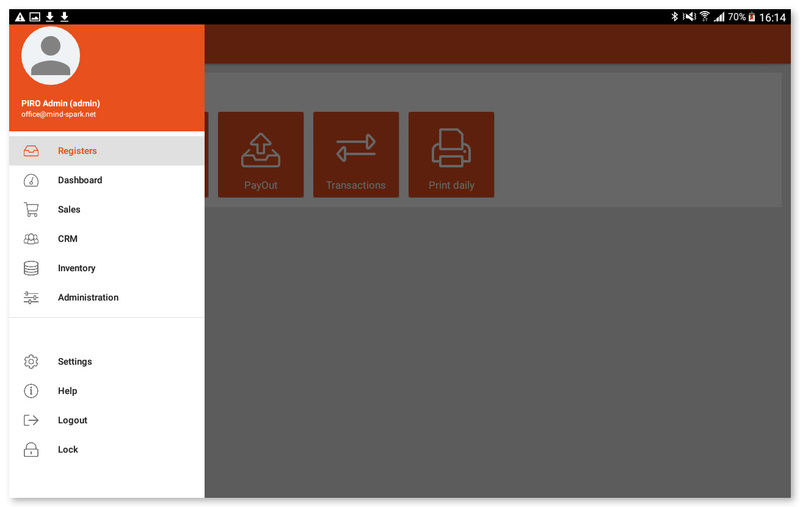 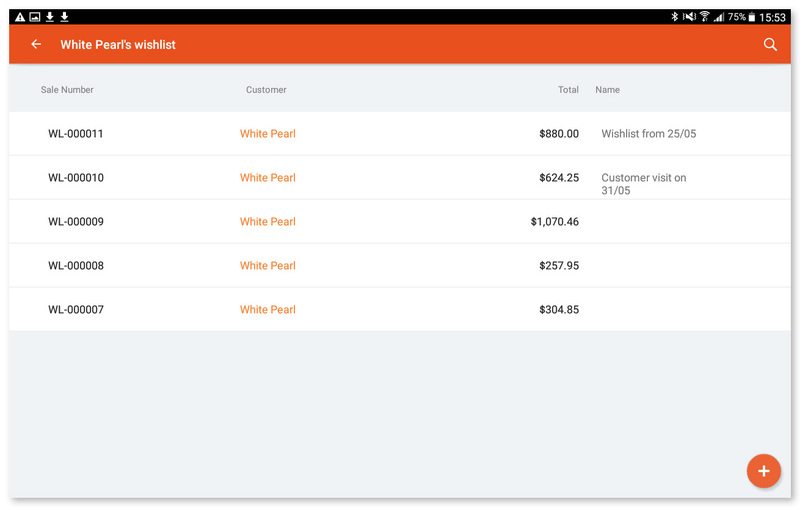 Simple front-end interface for store users; unlike many other POS systems, PIRO Retail has a state-of-the-art, user-friendly interface without showing any unnecessary data. 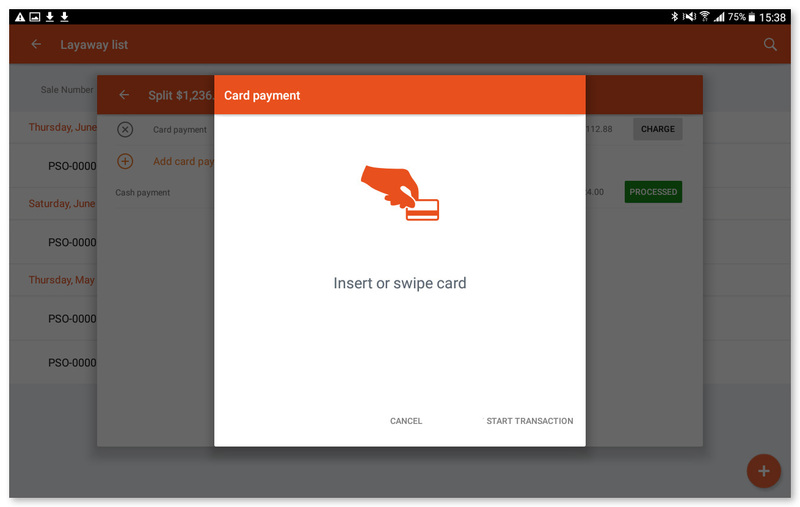 Users can easily process a sales transaction and accept cash or credit card payments. 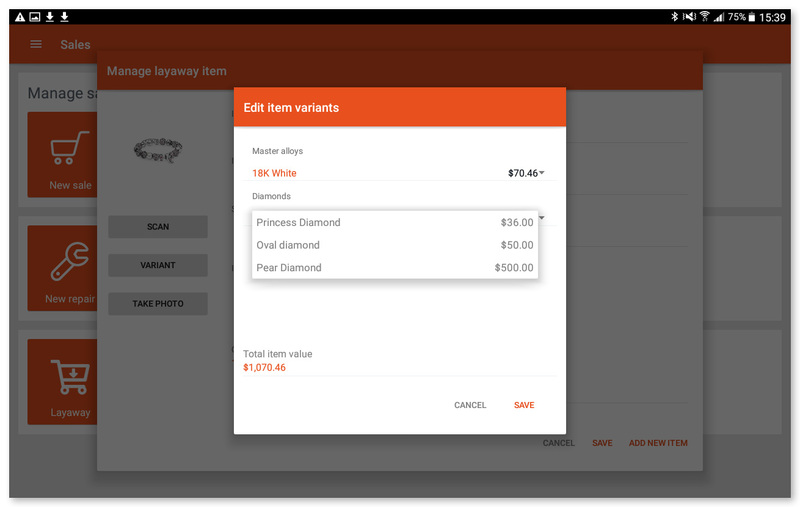 Styles can be modified before sale by choosing one of the available variants of the component. 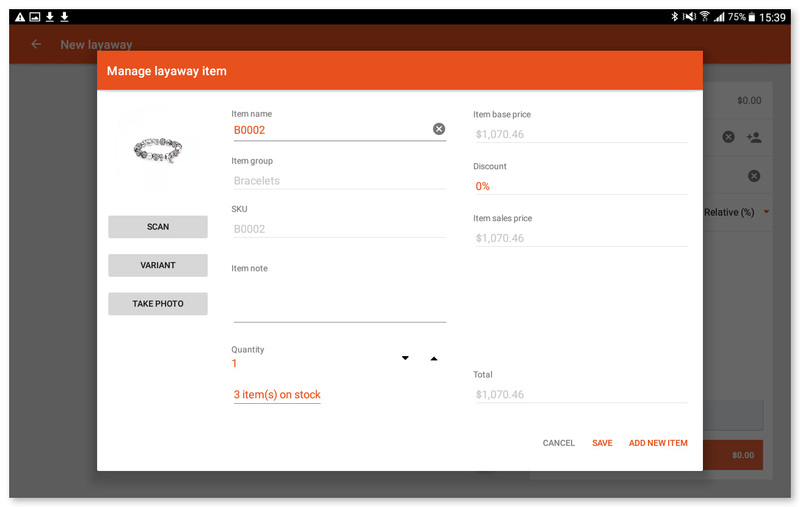 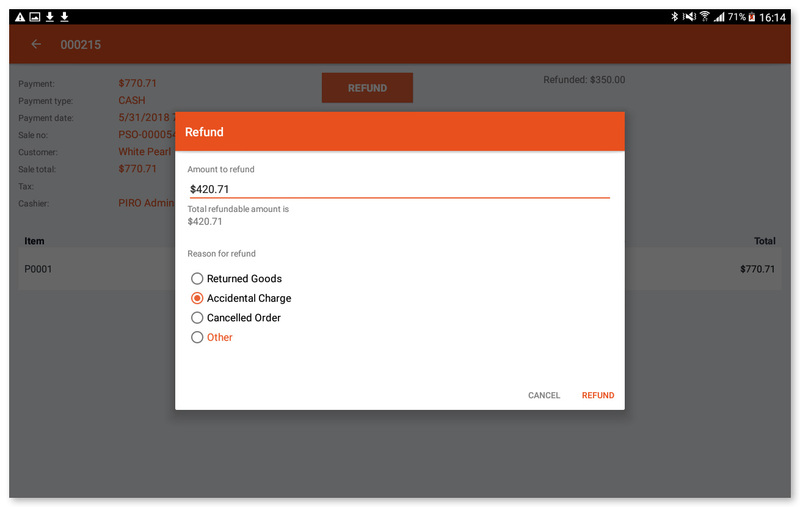 Create and save wishlists for your customers while they are browsing your inventory; give your customers the flexibility to put items on layaway; enter repair orders and track the repair process (in the back-end). 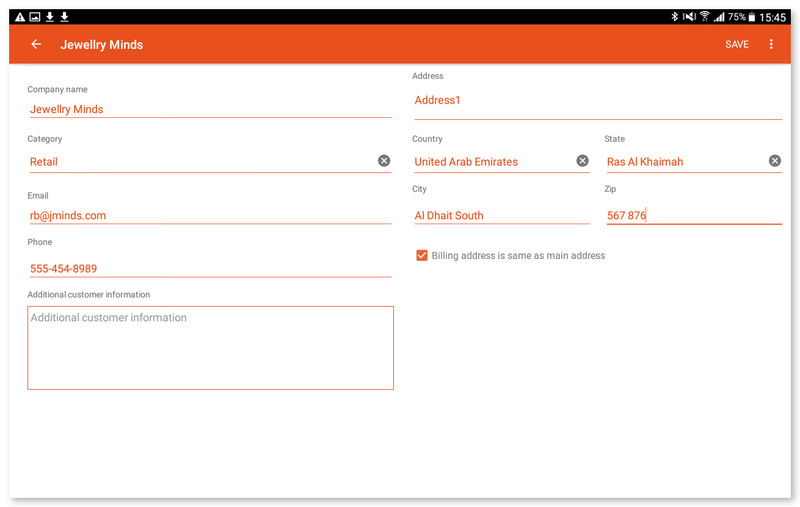 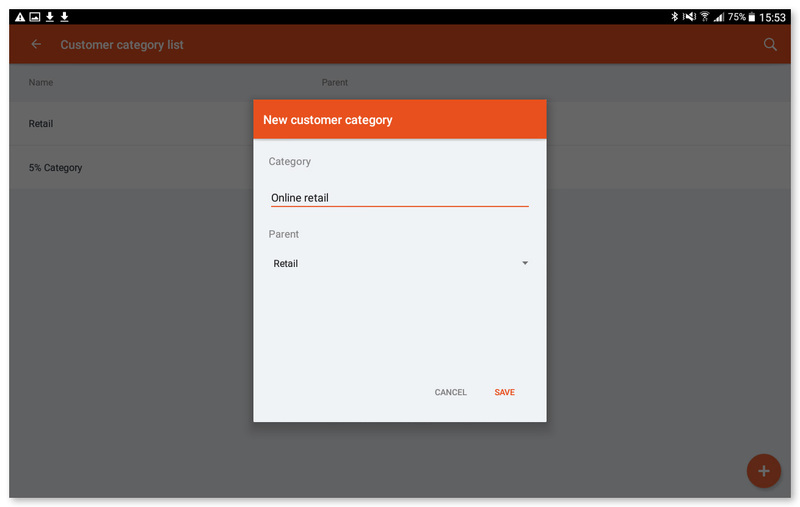 This feature allows users to quickly create a new customer profile. 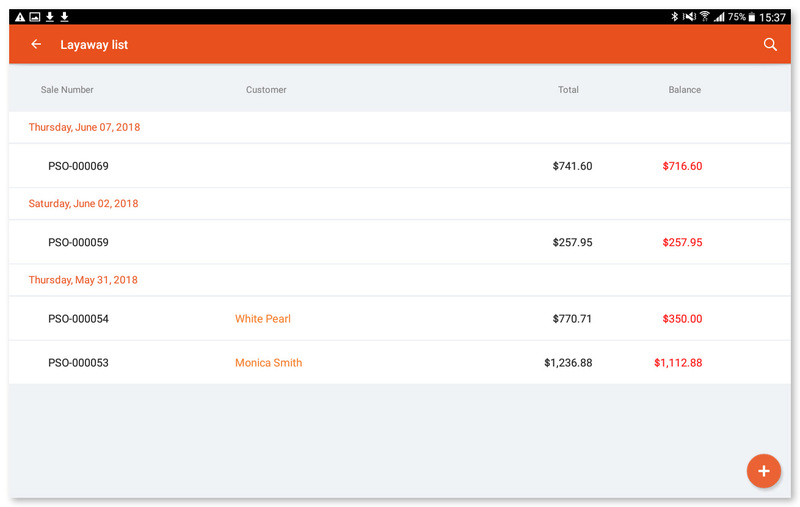 A more detailed customer profile can be saved on the back-end. 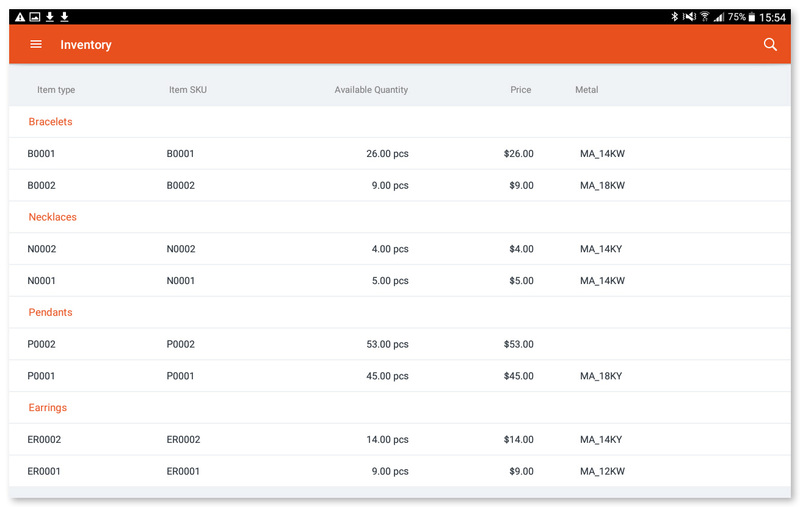 Inventory-related information can be edited or updated in the back-end and also a limitation can be set on a user level, defining which items are visible for users at different locations. 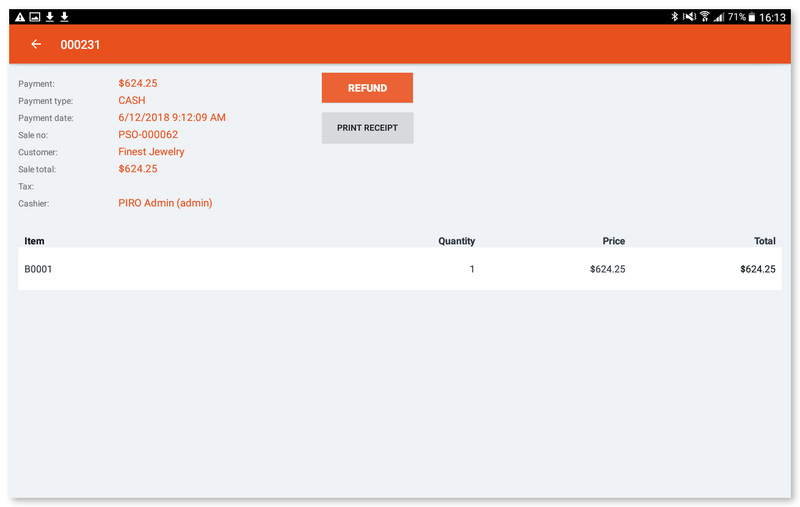 Allows setting the receipt numbering format, tax percentages, deposit payment percentage for layaways and inventory location for the current register. 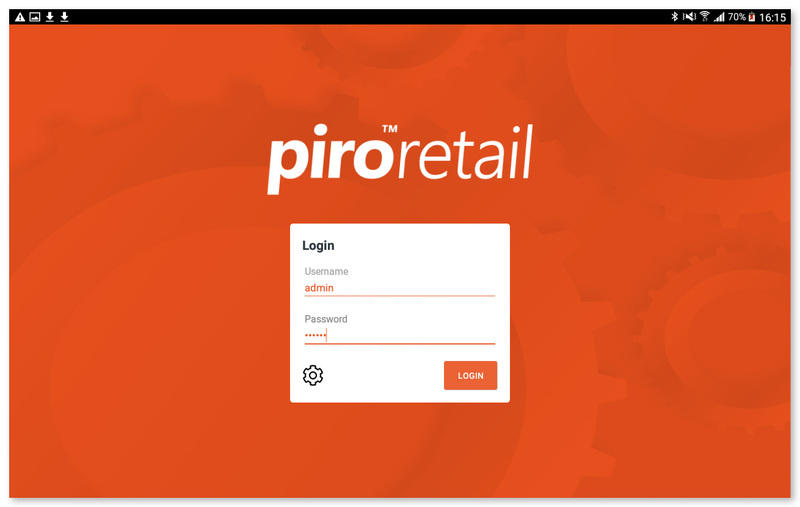 Explore PIRO Retail and see for yourself the how it can benefit your business.